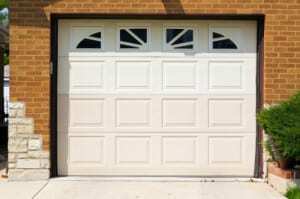 Home » Blog » What is the Lifespan of a Typical Garage Door? What is the Lifespan of a Typical Garage Door? A modern garage door has a lifespan of 15-20 years, but could last longer or break down sooner depending on how it is maintained. At Action Garage Door Specialists, we have repaired doors that worked for decades due to proper maintenance, and we’ve seen plenty of broken down doors after just a few years due to misuse. Of course, quality of the door makes a huge difference. We would be happy to help you with your Dallas garage door repair, but would also like to spread the word about how to maintain a garage door correctly. A door should be replaced either when it costs more to repair it than to buy a new one, or when the homeowner wishes to change the look of the garage door. Residential steel garage doors retain their looks the longest. The most common problem with garage doors occurs with garage door springs. Quality springs last on average through 10,000 cycles, which amounts to about 10 years for heavy use and 12-15 for light use. Not much can be done to extend the life of the springs, so your best option is to keep an eye on them for wear and tear and replace them before failure. Other problems can be avoided by oiling or lubricating the tracks that guide the door rollers and oiling the garage door hinge. Sometimes, something goes wrong with the infrared sensors that garage doors are required to be equipped with. This may require professional attention, but all that may be required is a realignment of the sensors or the clearing of debris. Don’t assume something is wrong with garage door without first checking the batteries in the opener. It could be as simple as that! For all of your garage door questions and issues, call Action Garage Door Specialists at 972-254-4040 and one of our experienced technicians will help.